How to secure macOS – OSX & iOS Wi-Fi Network with recommended settings for Wi-Fi routers and access points | Mandar Apte - UI, UX, Logo, Symbol, Brand Identity, Graphic, Web & Animation Film Designer from Mumbai, Maharashtra, India. You can Edit your Wi-Fi Network name here: Open AirPort Utility from Utilities folder in Applications folder > Choose & Click on your router > Click on Edit > Click on Wireless Tab. Hidden networks don’t broadcast their SSID over Wi-Fi. You have to manually enter Wi-Fi Network name to join that network. It will make harder for hacker to identify & enter your network. 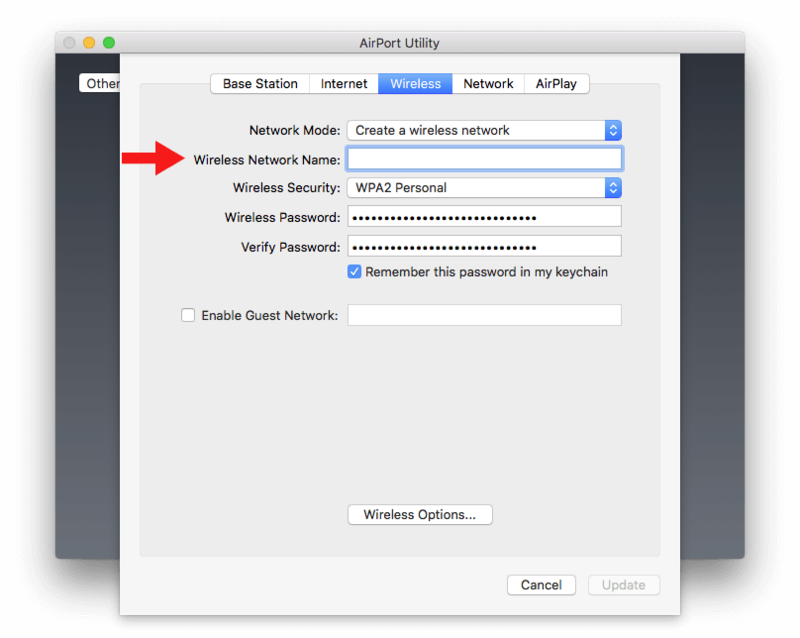 To hide your Wi-Fi Network follow this steps: Open AirPort Utility from Utilities folder in Applications folder > Choose & Click on your router > Click on Edit > Click on Wireless Tab > Wireless Options… > Check Create hidden network. The security setting controls the type of authentication and encryption used by your Wi-Fi router. Use WPA2 Personal security. WPA2 Personal (AES) is currently the strongest form of security offered by Wi-Fi products. You can change security settings of your Wi-Fi Network here: Open AirPort Utility from Utilities folder in Applications folder > Choose & Click on your router > Click on Edit > Click on Wireless Tab > Wireless Security. Let me know in comments if you require more information.